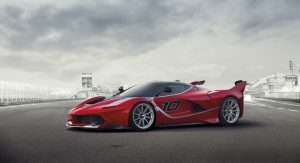 Ferrari is previewing the track-exclusive FXX K hypercar ahead of its world debut next weekend at the Yas Marina Circuit in Abu Dhabi. 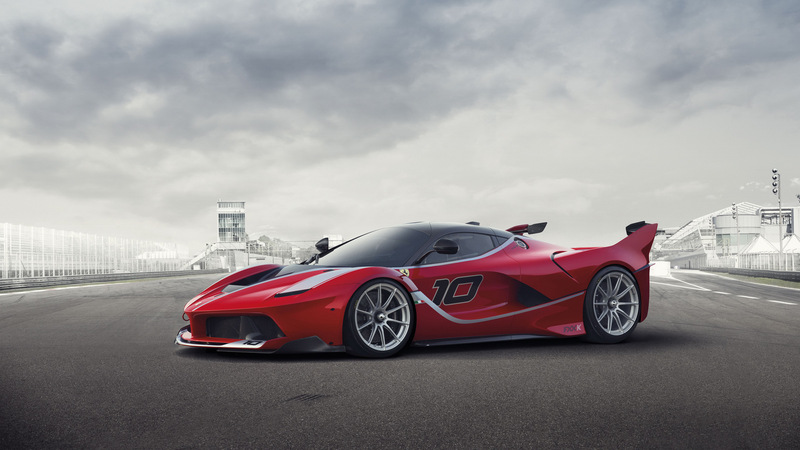 Just like its predecessor, the Enzo-based FXX, the FXX K is a “laboratory car,” part of a research and development program. The letter K is a reference to the “KERS” kinetic energy recovery system it adopts in order to maximize its track performance. 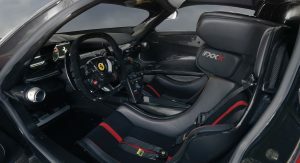 Never to be used in competition, all FXX Ks built will remain in Ferrari’s custody and will only be accessible to an exclusive group of Client Test Drivers with whom Ferrari will roll out a test program over the coming two years. 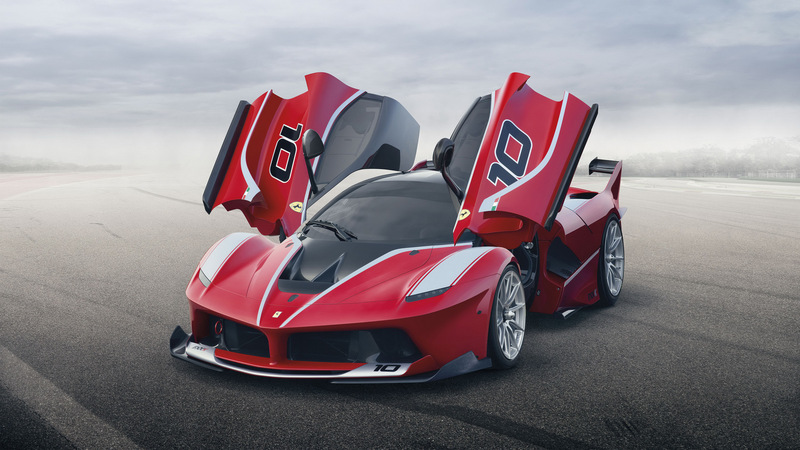 Compared to the road-going LaFerrari, the FXX K has a total output of 1,050PS (1,036hp) – that makes it 87PS more powerful than the LaFerrari and 50PS more powerful than its McLaren rival, the P1 GTR. The naturally aspirated 6.3-liter V12 engine produces 860PS (848hp) and the electric motor delivers 190PS (187hp). Combined maximum torque exceeds 900 Nm (664lb-ft). 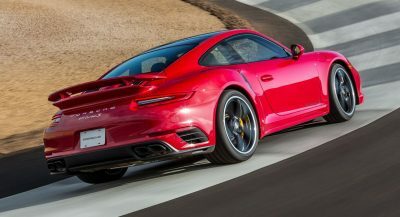 The V12 engine produces 60PS more than in production form thanks to new camshafts and a modified valve train with mechanical rather than hydraulic tappets. The intake manifolds have been redesigned as well and given a special type of polishing treatment, while the silencers of the exhaust system have been eliminated. The car’s HY-KERS system has been further developed for pure performance and the driver can now choose one of the 4 settings from the Manettino on the centre console: Qualify, for maximum performance within a limited number of laps; Long Run to optimize performance consistency; Manual Boost for instant maximum torque delivery; and Fast Charge, for a fast recharge of the car’s battery. As you can see from the photos, the car has also received extensive aerodynamic upgrades. The front of the car is dominated by a twin-profile spoiler and a larger splitter, which is 30 mm (1.18in) lower, with a gap in its center. 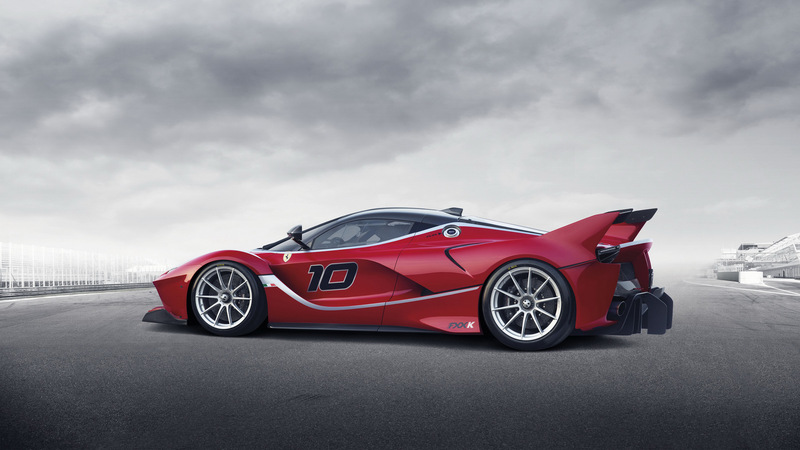 This design is inspired from Ferrari’s experience in the GT category of the WEC. 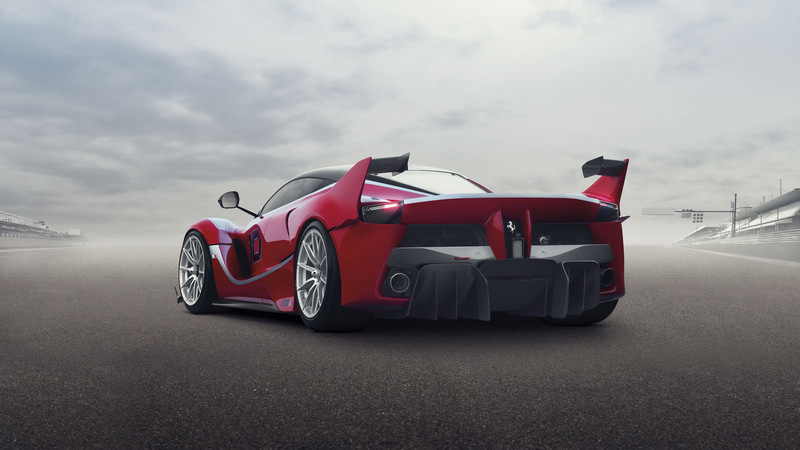 At the rear, the FXX K gains a higher tail section with a mobile spoiler, a vertical fin and a small wing each side of the tail. The latter act as guide vanes in the low drag configuration and boost the spoiler’s efficiency in the high downforce one. 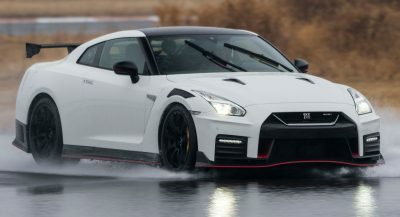 The result is a 50 percent improvement in downforce in the low drag configuration and a 30 percent improvement in the more aggressive downforce configuration – the impressive value of 540 kg (1,190 lbs) is reached at 200 km/h (124 mph). 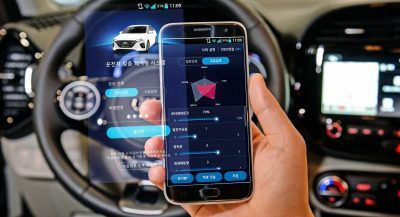 The car rides on Pirelli slicks complete with sensors that monitor longitudinal, lateral and radial acceleration, as well as temperature and pressure. Ferrari didn’t offer performance or pricing details, but the FXX K is obviously faster than the LaFerrari and more expensive. 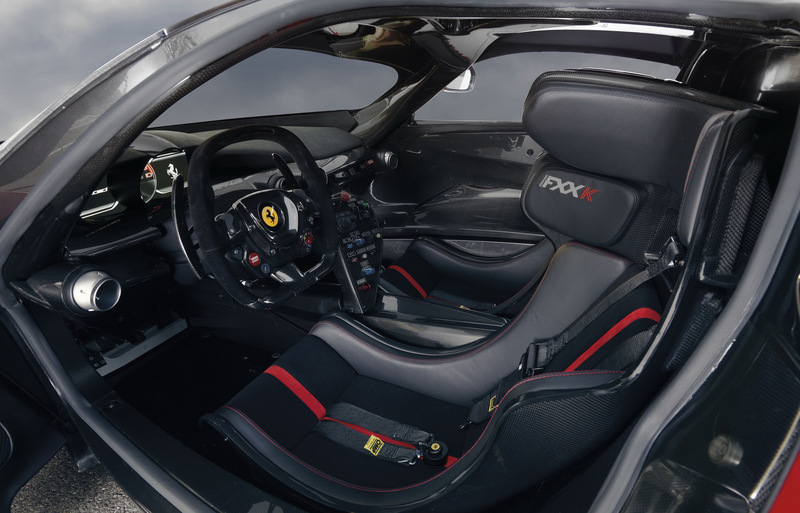 A recent report advanced a $3 million price tag and a limited production run of 30 units. From the back with that spoilers looks like a mower. The fastes mower…or the fastest kids push cart? 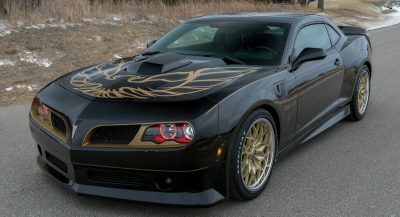 No word can describe how awesome this thing looks. Cos words are cheap, and this thing cost like 3 mils, but I think it is worth the price. Hate to say it but i think this looks better than the P1 gtr. Your opinion, but I disagree. What? Is that some new kind of 4-dimensional brake discs or what? Brake rotors have only 2 measurements: diameter and thickness. Yeah, I think that middle figure is the swept area. Incredible in every way! An absolute stunner! Ferrari should have used those light units in production. I agree, though they may not meet road and safety specs. They still look awesome. Probably just stickers, like Lightning McQueen. 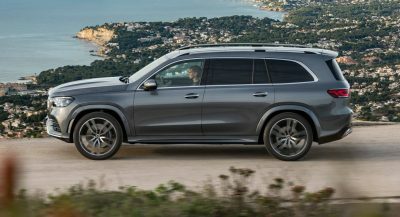 What is this barrier between driver’s and co-driver’s head? 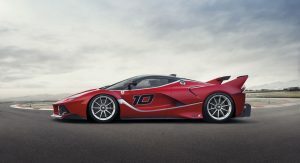 since ferrari keeps it in their custody, will they detail it after every track day? Cool, but wouldn’t normal doors be lighter? This is a badass Ferrari! The rear end of this car is just stunning. I do wonder though, is the 3 million you pay, just for the right to be a co-owner of this car? 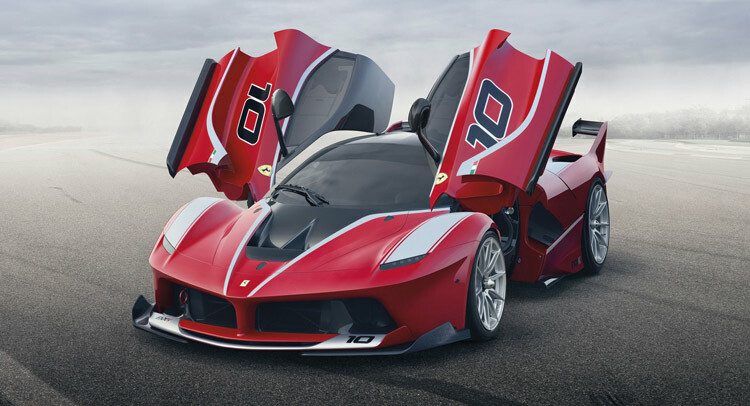 I wonder if this is so that when you are done with the car, it goes back to Ferrari and ONLY Ferrari, as opposed to the used Ferrari market where it might fetch 2 times or more its going MSRP. I wonder then how its value will be as a collectable then, being artificially suppressed by Ferrari in this way. These 30 examples may be worth a minimum of 5 million at retail, and even at that price, there are enough billionaires and millionaires out there to swoop one up at 3 times that amount. Previous PostPrevious Teen Gets Ferrari 599 GTO and BMW X4 for Her 16th Birthday!